That is one giant skull, and that is only the skull, imagine it with all the skin on top! What if one day, it became the monster that attacks you in the void if you go too far out? On the subject of the Aurora size comparison: it actually makes complete sense. Think about it: the ship is designed to be the start of any major construction project. It has to build the phasegate so that follow-up missions can be conducted more efficiently. This means it has to haul everything it's going to need to get itself out to the site and build the gate. That means a lot of fuel and other consumables just to get there, even more to sustain operations while you are there, and all of the components, materials, and equipment to do the work. (If you forget your machinery, there's no Bob's Rent-A-Bulldozer to bail you out; you have to go back and get one.) Plus, in any project, there's going to be breakage, so you need spares and replacements to account for that. On top of that, since Alterra is cheap (sorry, thrifty), Aurora is probably hauling raw materials for the colony construction crews following in her footsteps, so there goes even more space. The Enterprise doesn't have or need lots and lots of cargo space. It needs habitable volume (quarters) and work spaces (labs and suchlike). Plus, it's an exploration vessel, meaning it has to be efficient enough to be able to sail around for a long while between refit and refuel. Aurora isn't meant to wander; it's meant to get a lot of junk to a construction site and get building. Enterprise is meant to wander, not haul. And Star Destroyers have to carry troops, their gear (including really chunky stuff like walkers), support craft, and a couple pre-fab garrison bases. Of the three, Enterprise can be expected to be the smallest, but also the most flexible in terms of its abilities. 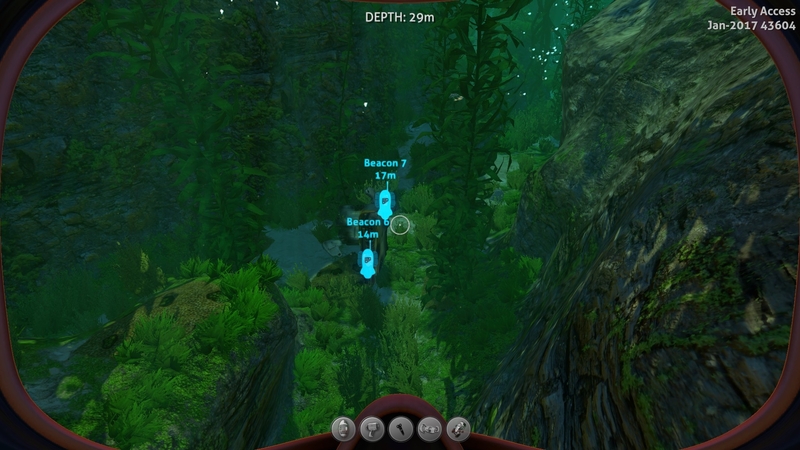 Sizing in subnautica is strange, cyclops is 54 meters long officially but looking at it i would say that is definitely less that 20 meters. This makes comparing things impossible. 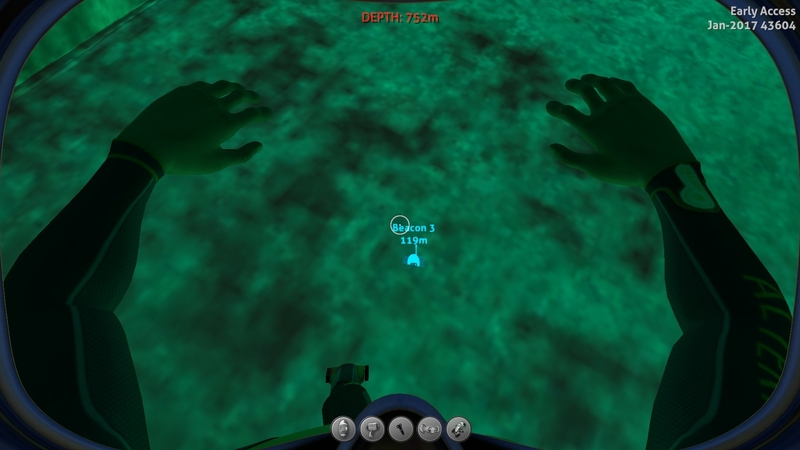 Sizing in subnautica is strange, cyclops is 54 meters long officially but looking at it i would say that is deferentially less that 20 meters. This makes comparing things impossible. Everything looks smaller, something weird about how the field of view works. 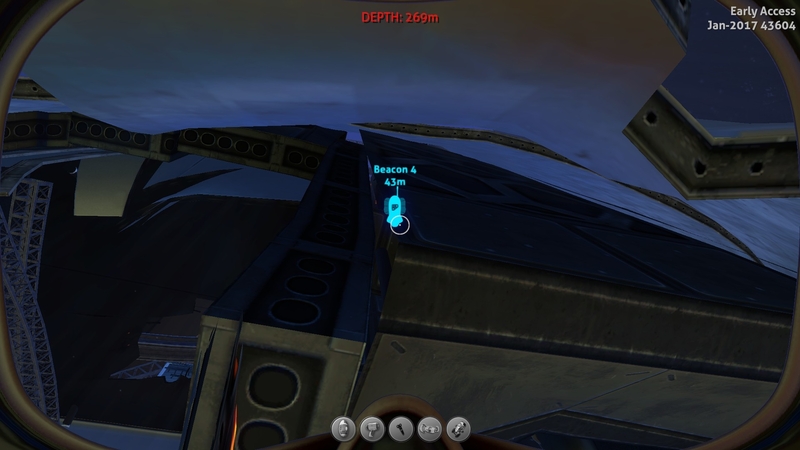 Try and measure it with beacons. Apparently the Aurora is 1.25Km (unexploded) -> Officially I was told it was 1.5Km! Has anyone actually measured the maps dimensions? North to south, east to west, highest point to void level. So, while we are on the topic of size, I did some measurements of some random things. I don't know, I thought it was interesting. I don't know how this guy is carrying this size of pieces of broken metal (or where he keeps 'em. ) but he does it. is the same size as this. 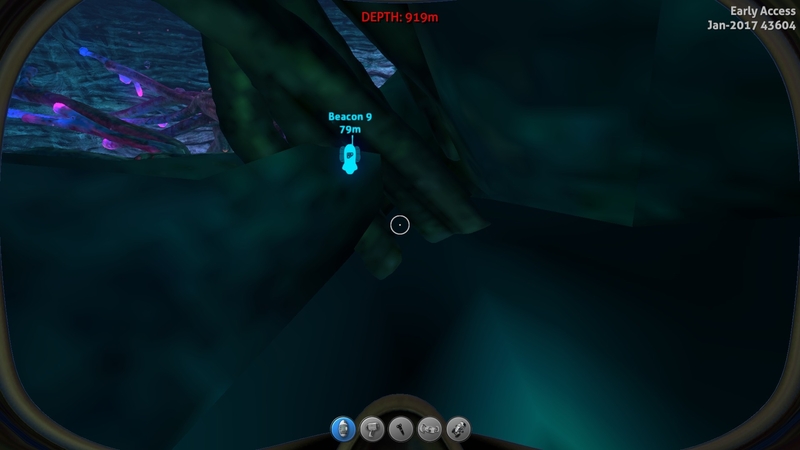 I found that the Giant Leviathan in the Lost River is about 280 meters (918 feet) Not including the head. That's over three American Football fields! 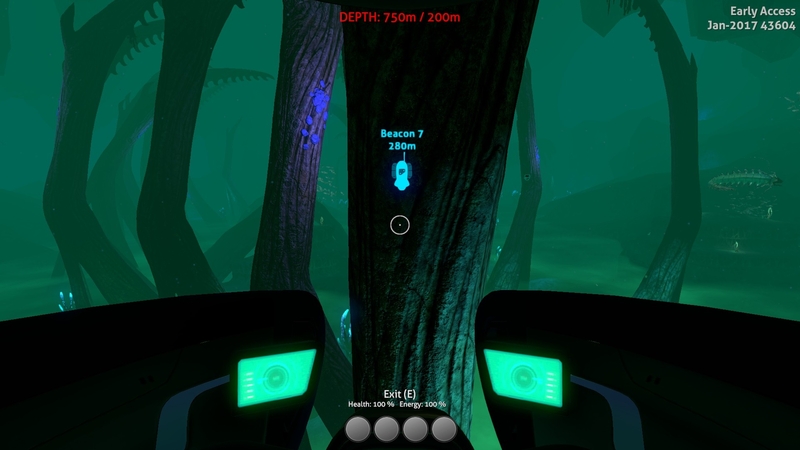 And the Ghost Tree is 79 meters (259 feet) tall. Honestly, that's a little smaller than I thought. If you guys want, I can find more random sizes. Also, if this is better on a different thread, just say. I'd rather not derail everything. I don't want to be "that person"
The lore workaround for that is that you're from a group of humans that were genetically modified to be extremely good swimmers. Like, much faster than michael phelps. Beacons wont work either because they have defined a in-game meter to be smaller than in real life so everything appears smaller than the game says it is. To fix this would be.... i have no idea i cant say it is impossible because there might be a way but in a virtually world with no reference i don't think it will be ease. Unless they defined what a meter was at the beginning and built everything around that but it dose not look like they did that. 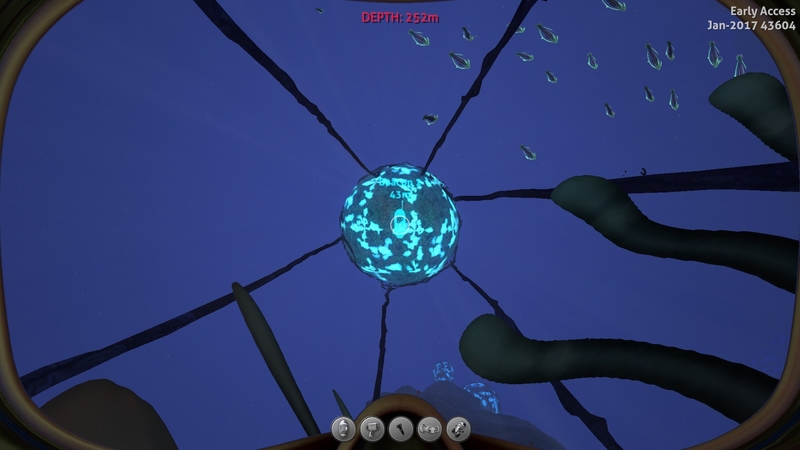 The Cyclops is 54.2 meters.